Would you like to see how I created a simple and inexpensive layout in my planner? For this layout, I try to use very few items. 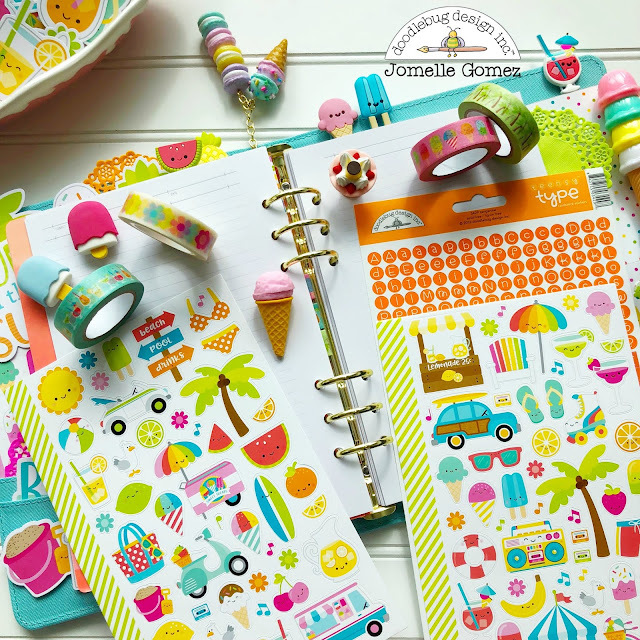 I used couple of washi tapes from the Sweet Summer collection, Mini icon stickers, and the teensy type cardstock stickers. 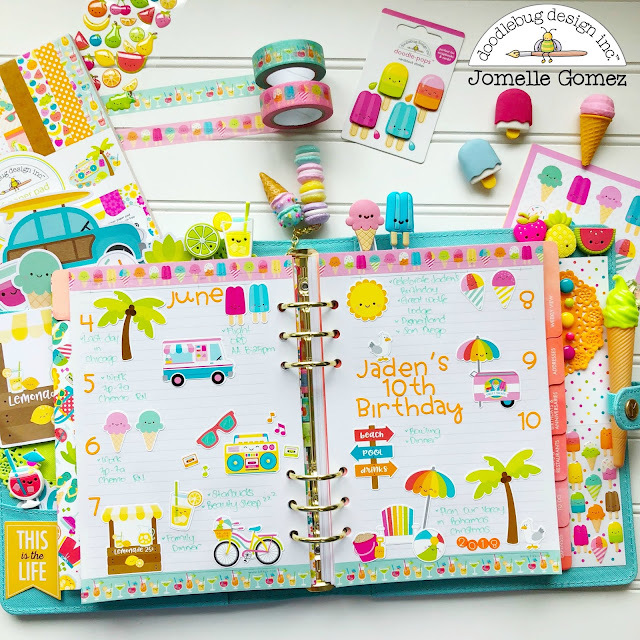 To create this layout, I first added two different designs of washi tapes. I used the ice cream washi on top and the cocktail drinks washi on the bottom. Then I added the number stickers on each sides of the page for the dates. If your planner pages are already dated then you don't need to add the numbers. 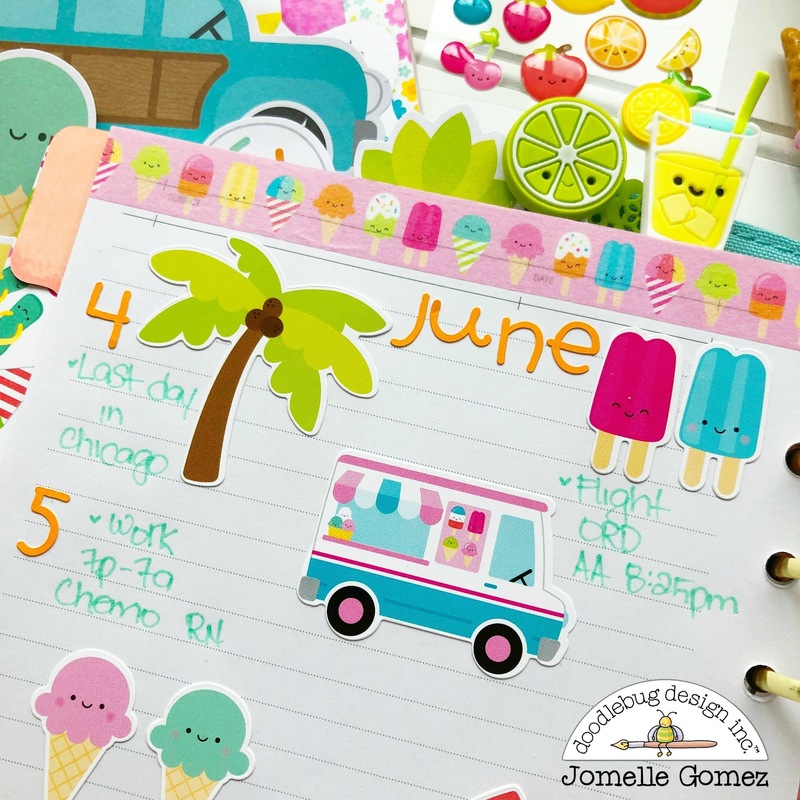 To create a balance layouts when adding stickers to my layout, I like to place them in almost a zig zag pattern. I also like to place the bigger stickers on the bottom of the page. 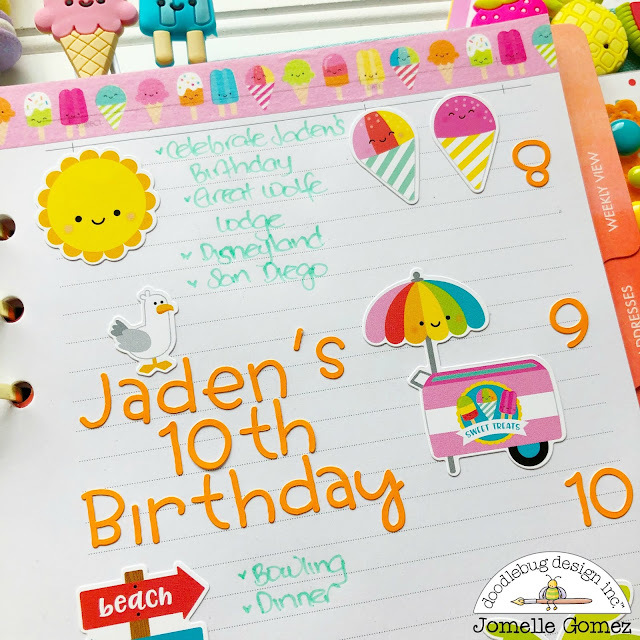 The teensy type stickers is perfect to highlight my son's 10th birthday. 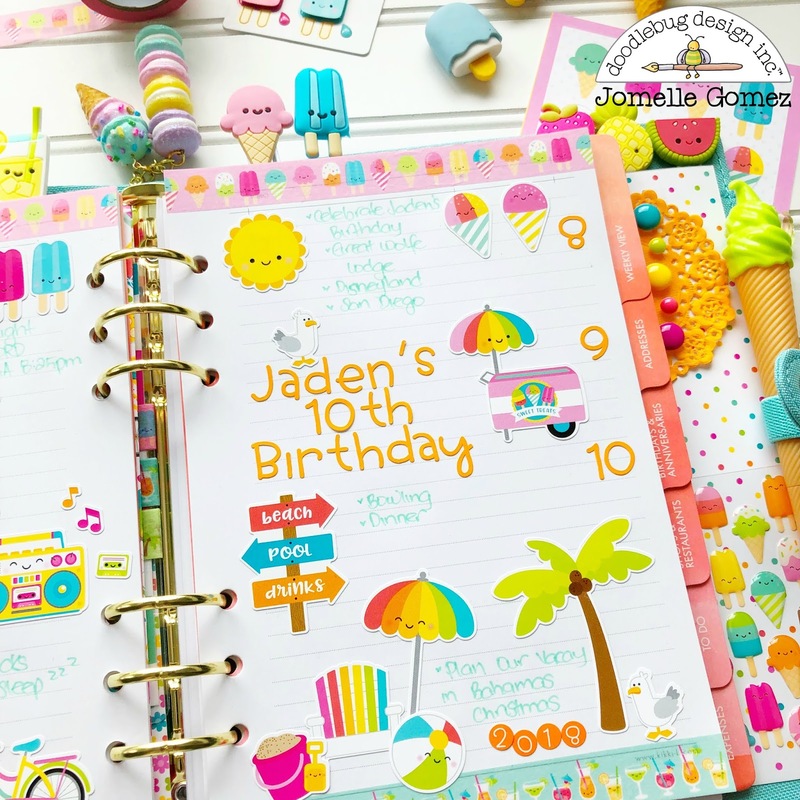 When you first glance at this page, do you automatically look at "Jaden's 10th Birthday"? If so, then I did a great job making it the focus point of my layout. The hardest part was deciding what stickers to use since I want to use them all. I try to choose the stickers that usually go together. For example, I used the ice cream truck and then I added ice cream around or on the same area of the truck. Do you like using color pens in your layout or do you just stick to black? I just think using color pens makes my layout flows beautifully. The best part is that I still have some stickers left to create more layouts in the future. And that's how I created my layout using only few items and still have it look very cute. Thanks for stopping by. 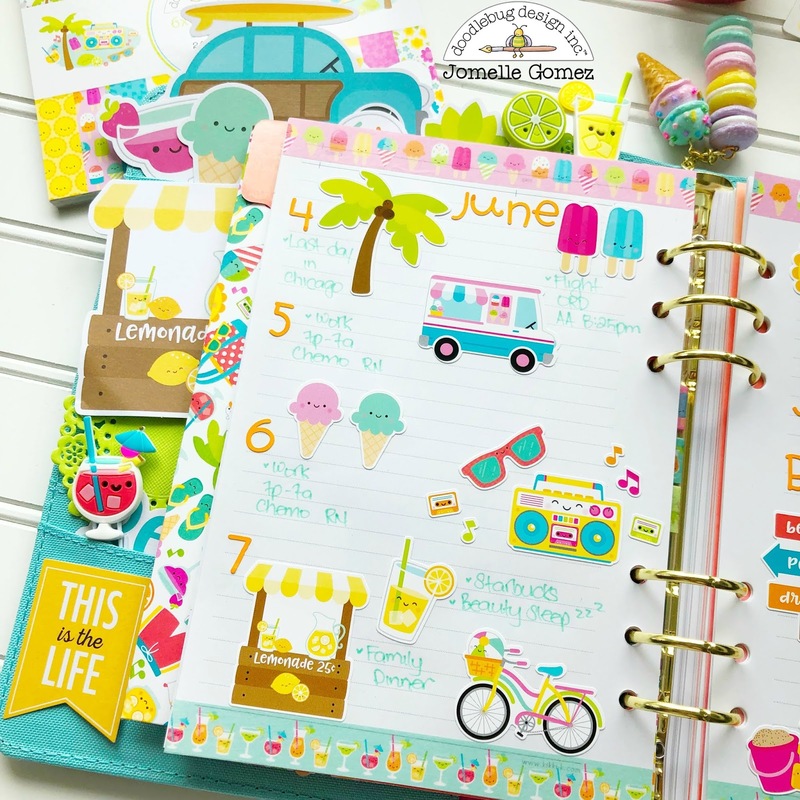 Awesome planner spread!! Love how you used the washi to frame the pages! Wow! This is colorful and cheery and amazing and wonderful!! !